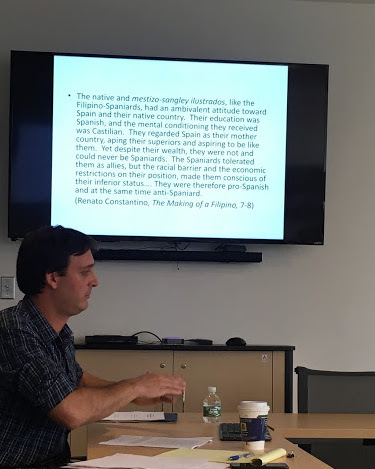 Rutgers Comparative Literature was proud to host its former alumni Ignacio Infante for his talk, “The Specter of Translation: The Comparative Poetics of Filipino Modernism,” an excerpt from his forthcoming book, A Planetary Avant-Garde: Experimental Poetics, Transnational Literature Networks, and the Legacy of Iberian Colonialism (1909-1929). The political tension in Rizal’s characterization above highlights the rapid transition in the Philippines from being a Spanish colony conquered by Catholic priests to becoming an American colony. 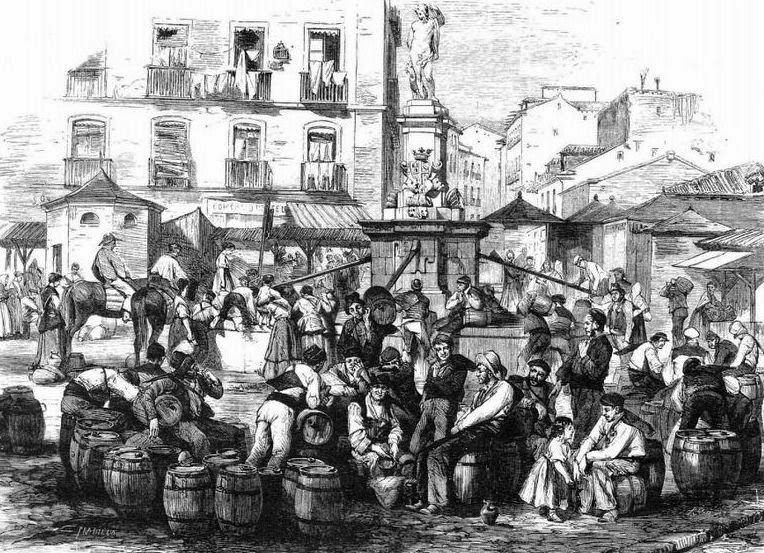 Infante stressed that more attention is needed to understand this period’s “double-rupture” and the overlapping linguistic subtexts that inform writings between and beyond colonial languages, as well as the way relatively few social elite have participated in the writing and reading of texts in English and Spanish. Infante then trace networks of relation between several global modernisms. Using provided handouts, we first read work by poet Claro Recto (1890-1960). His Spanish-language lyric poetry exemplified, for Infante, Recto’s need to translate his sense of cultural loss into the style of the “new” language of Spanish modernism, or modernismo. Infante also pointed to the work of José Garcia Villa (1908 – 1997), a prominent Filipino poet who credited Angela Manalang Gloria (1907 – 1995) as an important influence. In reading Manalang Gloria’s cinquains, Infante claimed that her poetry carves out a new space in global modernisms for women by challenging the prevailingly male, Western, modernist canon and pushing Ezra Pound’s Imagist style beyond the boundaries of gender and culture. Her poem “To a Mestiza” personifies a sense of harmony between traumatic historical tensions and multiple colonialities in the Philippines. 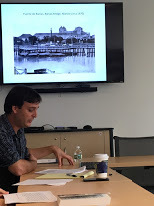 Comparative Literature’s graduate students and long-time faculty alike are grateful for Ignacio Infante’s illuminating and engaging visit, and we wish him continued success!